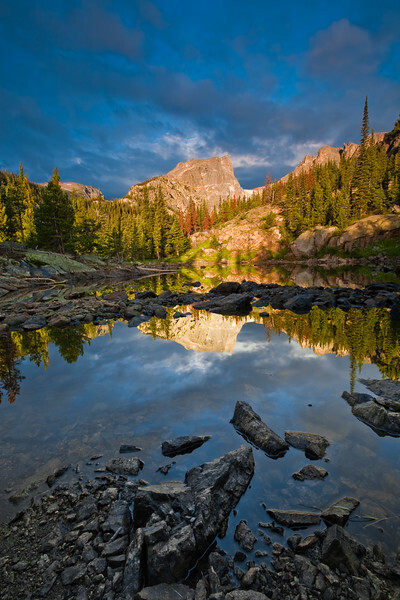 A small unnamed lake near Dream Lake in Rocky Mountain National Park at sunrise. Well worth the short hike! Very nice depth and color to this image. Such a beautiful location and shot! well composed . . . . great use of the natural light.